You can't go far wrong with a black and white résumé template and this is the perfect choice if you're really looking to make an impact, as the name suggests. 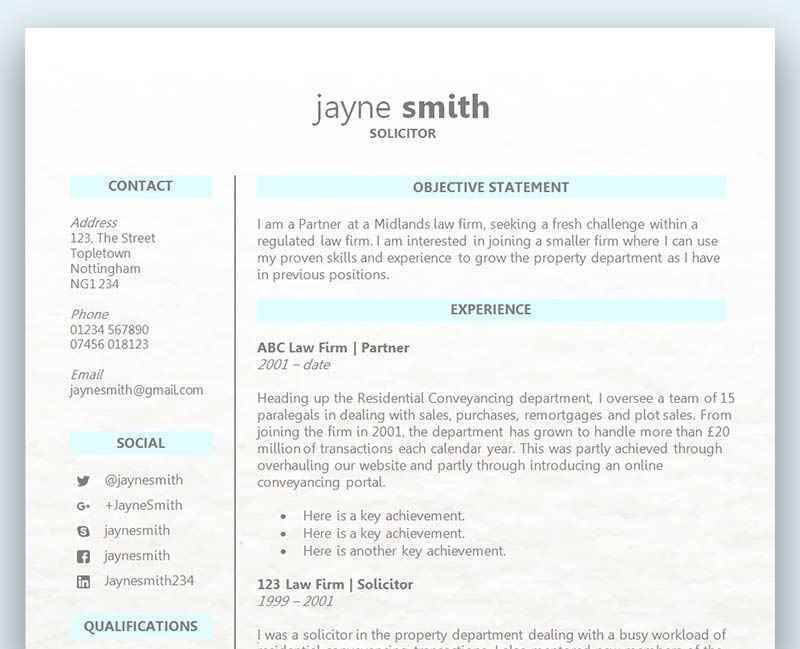 Using the bold, brash impact font for your name and the headings, coupled with neat lines to section off your information, this crisp résumé allows your application to stand out to would-be employers without your information getting lost in amongst too much design detail. It's a great choice for a huge range of job roles and creates a highly professional yet creative vibe that is sure to draw attention. We always advise to keep your résumé clean, clear and clutter-free, and this résumé template is the perfect example of how this can be achieved, without it looking boring. Smart, bold headings catch your employer's attention while careful alignment and sectioning keeps everything tidy and easy to find. Adding references to your CV is typically something that takes about 30 seconds. You just pick a couple of your old managers and add their details to your CV and job done right? Wrong! Ideally you want to always choose someone that works or has worked in the same industry, or who has experience in a similar role to the one you are applying for. The new employer wants to see a reference who has something in common with them, and if they decide to contact them will be able to speak on the same level. Rather than simply choosing someone who will speak highly of you and give you a great reference, you need to select much more wisely and imagine how much better it would be if your reference was able to relate to the new role. If you decide to select your manager from a previous or current role who you don’t interact with a great deal, then you will most likely end up with a very vague or generic reference. The hiring manager will easily spot when a reference is struggling to give accurate feedback, and it can also be interpreted in another way. For example, the hiring manager might feel that your reference is not giving much information because they don’t feel like you performed well – even if this isn’t the case! Choosing someone who knows you very well and has spent many hours interacting with you, is going to be able to provide you with a great reference. Don’t forget, your reference doesn’t have to be the CEO of the company. Choosing a great reference isn’t about how high up the chain you can go. You want your reference to not only be on board with your plan for a new role, but to also be aware of who might be contacting them. If your reference is happy to have their name on your CV, then you are making it much more likely that your reference will be positive about you. Once they’ve agreed you can now prep them for the possibility of being contacted. Let them know who might be contacting you and what they are looking for. Don’t forget that your old boss might not be able to remember all of the great things you did, so it’s much easier to remind them, and of course be specific in relations to the possible new role. However, don’t mistake coercing your reference into saying what you want them to say and what you are both agreeing on. These are of course two very different things, and you want to attempt to work with your reference so that you can both decide on what you would like to be highlighted. Now that you’ve selected some great references, don’t forget to include their current up to date details, including contact telephone number and e-mail. It may also be important to confirm what days and times they are available in case they are unavailable – they may be going on holiday for example. Jen Wiss-Carline has been a Senior Manager and Consultant for several sizeable companies which included dealing with all aspects of staff management and recruitment. She is also a Chartered Legal Executive, and was admitted as a Fellow in February 2006. National careers service - advice and CV builder. © 2019 · CV Template Master - Free Word CV templates, résumé templates, careers guides and resources. CV Template Master is a partnership in England & Wales. Partners: J Wiss-Carline & M Carline. Address: 78 Homefield Avenue, Arnold, Nottingham NG5 8GA, United Kingdom. Email: contact@cvtemplatemaster.com. Tel: +441159 529809. Open: Monday through Sunday, all day . Price range: £.